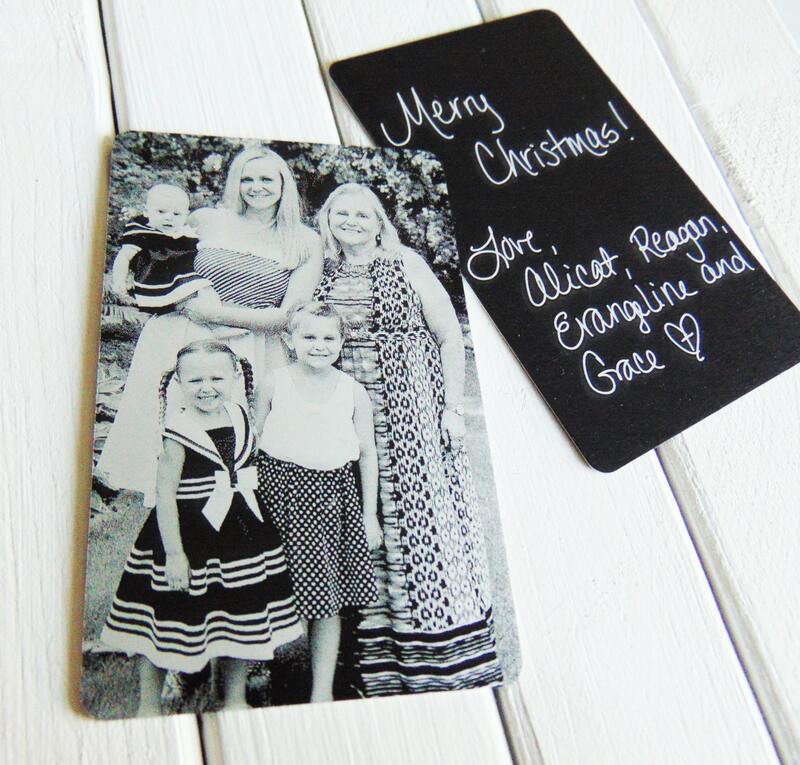 Hold your memories permanently with this beautifully engraved metal Christmas Card keepsake. 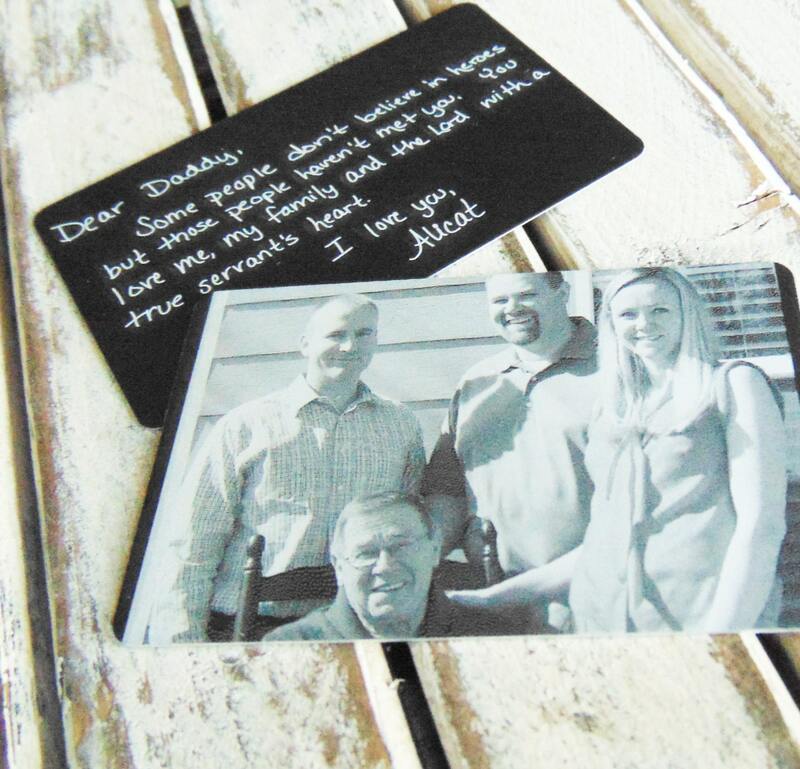 Your image will stand the test of time and complimented by the engraving of your choice on the back. 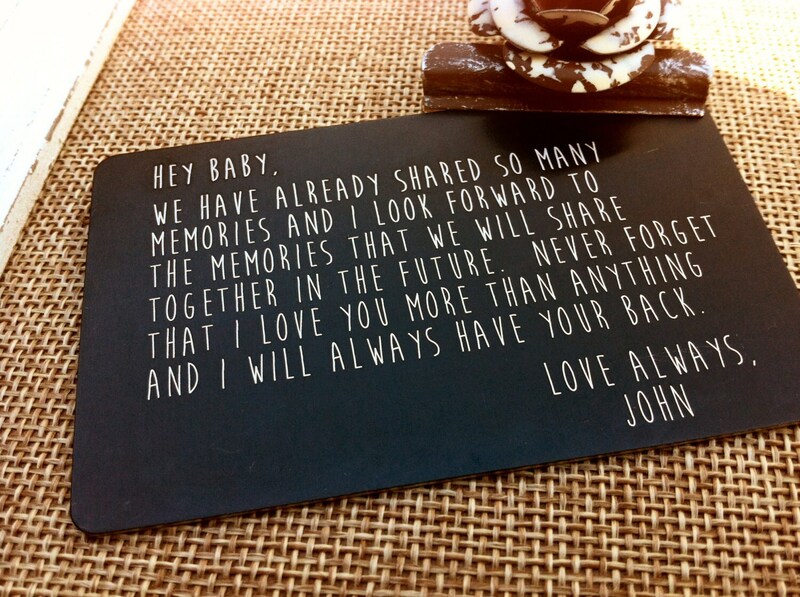 Remarkable way to tell someone you love them. You cannot go wrong this gift that will stay with them for years to come. Up to 350 (font) characters or 150 (handwritten) characters. Measurements: 3 1/4" x 2"
In order to use your own image for your order, please reply to your confirmation email after purchase. Your image will automatically connect to your order as well as any conversations posted within. Photos: When using photos, note that the bigger the image, the better the quality and result of your product. High Quality, color images are your best option, yet we can still mark any image given to us. 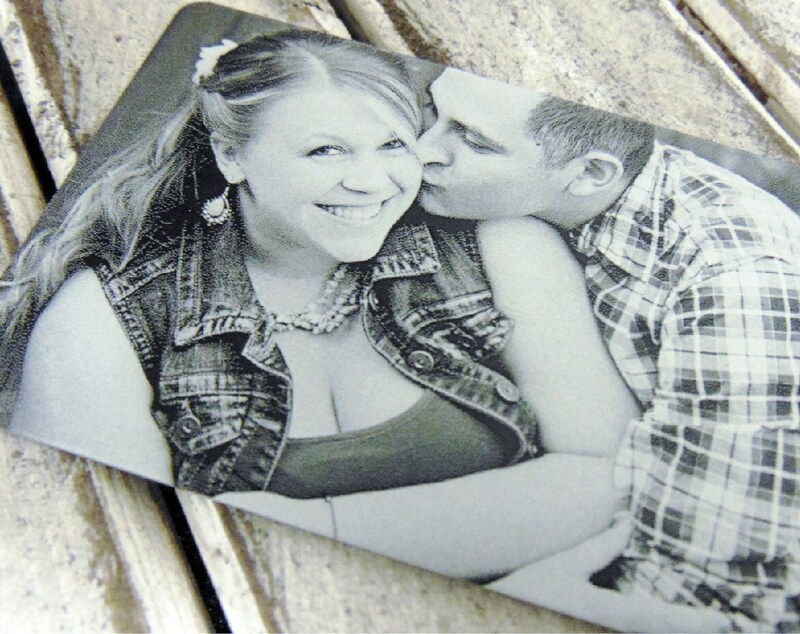 We will contact you, if for some reason, we are unable to engrave your photo. I ordered this item as a Christmas present for my Fiancé. His grandpa passed away a couple months ago & this was the perfect gift! The first one I received was missing a letter, I sent the seller a message and they replied and had a new one sent out the next day! Excellent customer service! I can’t wait for Christmas.